Rocking Chair Wisdom - OMG Parenting!OMG Parenting! One of the gifts my daughters given me is my rocking chair. Yes, today I still have the rocking chair I got for rocking her during her early years. I love that chair. It used to be a great haven for her and me. And then, when she needed it no more, it became a haven for me (although these days I have to boot off the cat first). It’s where I go to just chill; to get my “OM Moments” as I call deep chillin’. I’ve realized a lot that’s effected my parenting from being in that back ‘n forth, rhythmic movement. It’s the one place where I do a body scan. Although you can in fact do that anywhere, in this rocking chair I can bring myself to calm so fast, check out where I am tense, ‘shine’ a warm light on that area (from my minds eye) and release that tension. It’s helped me be a better parent frequently. I’ve also come to realize the value of just letting my sometimes jumbled mind wander and wander until, oh so gently, what is truly on my mind rises into clear view. Then I can focus on my next steps with whatever it is. There’s just so much that goes on in one day! There are days when there is THAT much going on that I don’t complete my thoughts or feel my feelings at the time things are happening; it just all accumulates inside of me. And then I’m not even sure, at the end of the day, what I did during the day! Parenting life can be like this; full of so much this ‘n that that we get lost to ourselves, in ourselves! Ever happen to you? From the view of my rocking chair, I have sorted out the next to-do list. I’ve realized that the tension in my left arm is from trying to take care of something I’m not supposed to take care of. Recently, as a view of an open field kept coming up in my rambling thoughts, I realized I needed the countryside AND to unclutter my office space. I’ve been able to see my daughter anew and sense what she needs, usually very different than what I was thinking before my sit session. Thank you sweet rocking chair! Then there was the day I realized I was in fact feeling great, but the parents I’d been talking to weren’t doing so well. I’d been at a conference and when people heard about this blog site, they told me lots of stories about their parenting experience. Later, as I felt the lull of my body going back ‘n forth, back ‘n forth, I came to an understanding about something (a parenting something) which has led to an online workshop that will soon be available to you (more on that in the future). I tell you, that chair rocks! The wisdom from my rocker for all parents, is that there isn’t a parent alive that doesn’t need their version of this rocking chair. 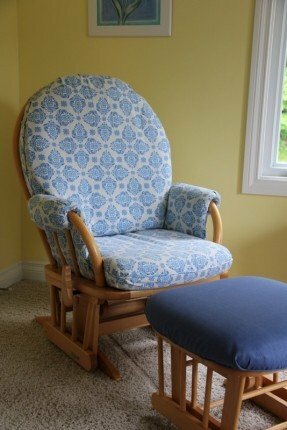 The rocking chair’s wisdom is that whatever your de-stress chillin’ method is, have a go-to method that is familiar, gentle, supportive, helps you reflect non-judgmentally, is easy to access, and is able to hold you for a while! And use it! !